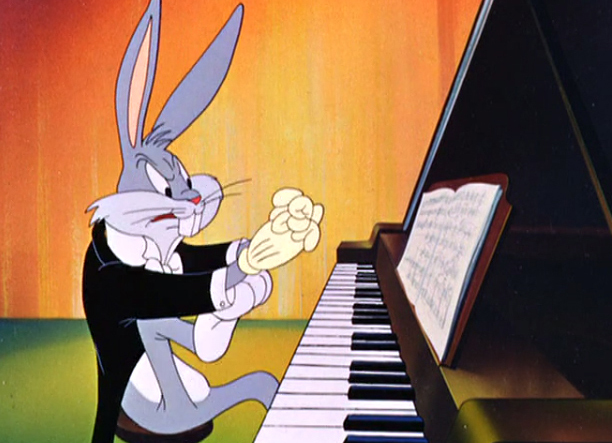 Was Bugs Bunny the first pianist you heard perform Franz Liszt’s Hungarian Rhapsody No. 2? 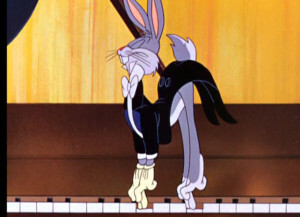 Rhapsody Rabbit, released by Warner Bros. Pictures in 1946, has introduced many people to classical music. 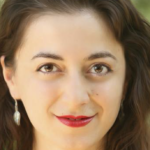 But did you know that it also introduced a bit of controversy at the 1946 Academy Awards? 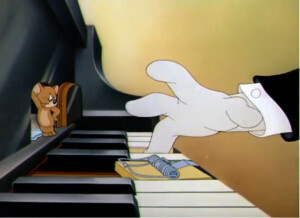 The same year Rhapsody Rabbit charmed cartoon and classical music lovers alike, MGM studios released a suspiciously similar cartoon, The Cat Concerto, featuring its characters Tom and Jerry. 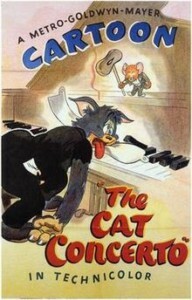 MGM’s cartoon went on to win the 1946 Academy Award for Best Short Subject: Cartoons. 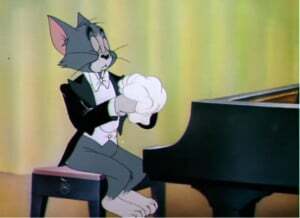 Since the two cartoons both feature an animal attempting to play the Hungarian Rhapsody No. 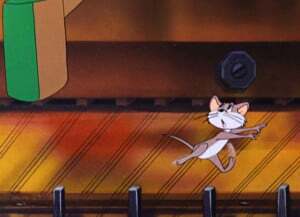 2 while being antagonized by a mouse, it’s not surprising that Warner Bros. accused MGM of plagiarism. In turn, MGM accused Warner Bros. of the same. 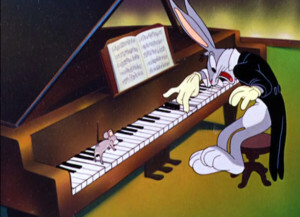 But these two cartoons aren’t the first to feature animals performing this popular piece. In 1929, Walt Disney Studios had Mickey perform it in The Opry House. 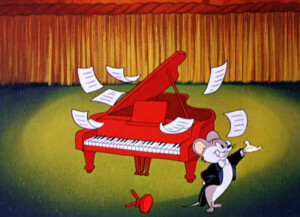 In the 1930s, the music was featured in Bars and Stripes by Columbia Pictures, A Car-Tune Portrait by Paramount Pictures, and Farmyard Symphony by Walt Disney Studios. 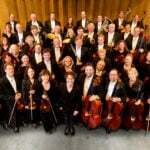 The Hungarian Rhapsody No. 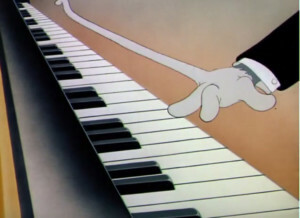 2 was a favorite of animator and director Friz Freleng with Warner Bros. 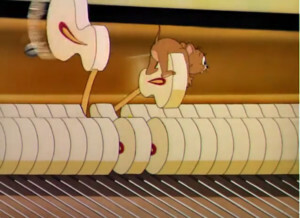 He used the tune first in his 1946 animated short Rhapsody in Rivets, in which animals constructing a building are accompanied by Liszt’s music. Watch the film below. 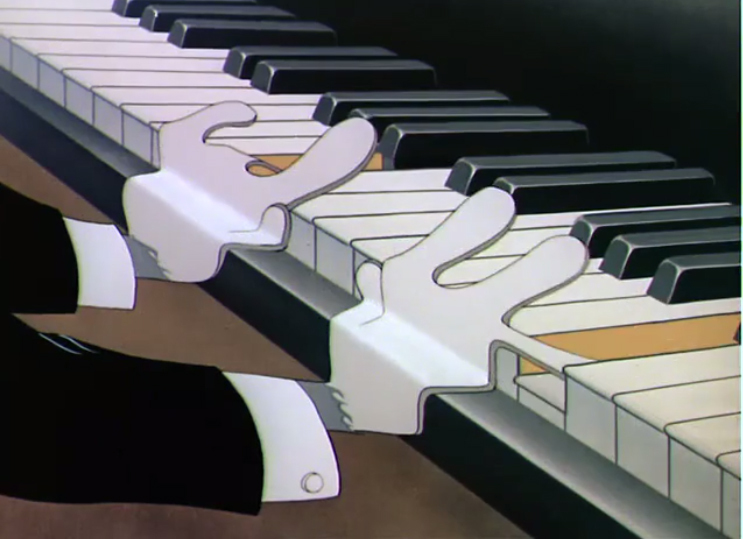 One of the only things Rhapsody and Rivets has in common with Freleng’s more famous short film, Rhapsody in Rabbit, is their imaginative exploration of the same piano piece by Liszt. 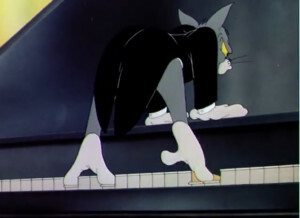 But the similarities between Bugs Bunny’s piano performance and Tom’s in The Cat Concerto are difficult to ignore. Here are a few of them. 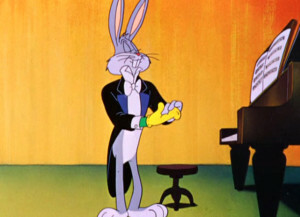 Both Bugs Bunny and Tom arrive on stage dressed in the typical bow tie and tails, and both have sight gags with their gloves. 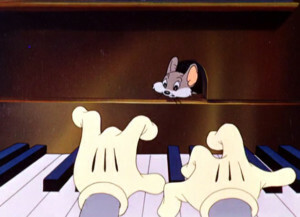 Both are antagonized by a mouse that peeks out of a hole located towards the piano’s upper register. Bugs plays with his toes. Tom plays with his toes. Bugs stretches his ear to reach to the end of the keyboard. 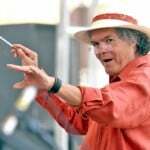 Tom stretches his pinky. 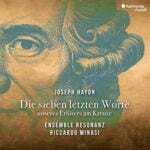 Both have a bit with a boogie-woogie riff on Liszt’s original. Bugs hops and prances across the keys. Jerry hops and prances across the keys. In both, the mice run to escape being literally hammered. 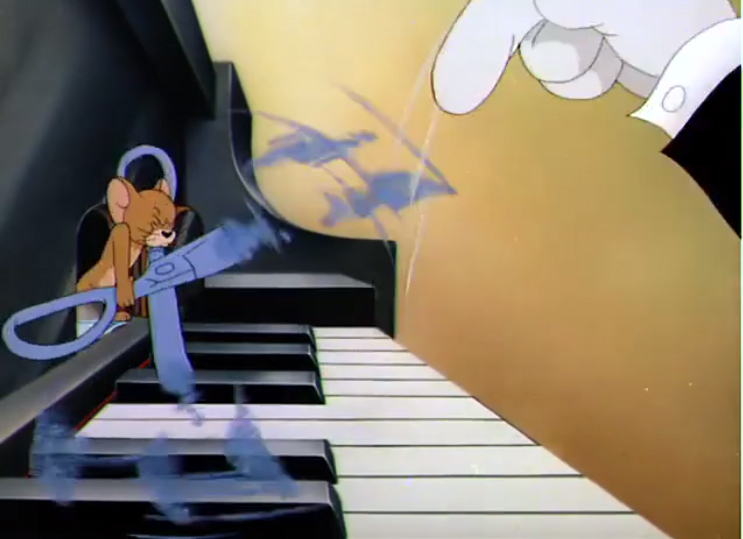 But the mice in each of the cartoons also get to take the final bow. 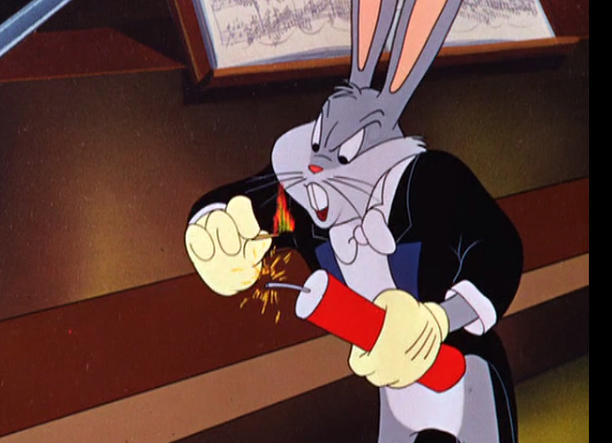 Still, the two cartoons also have some gags that are different. 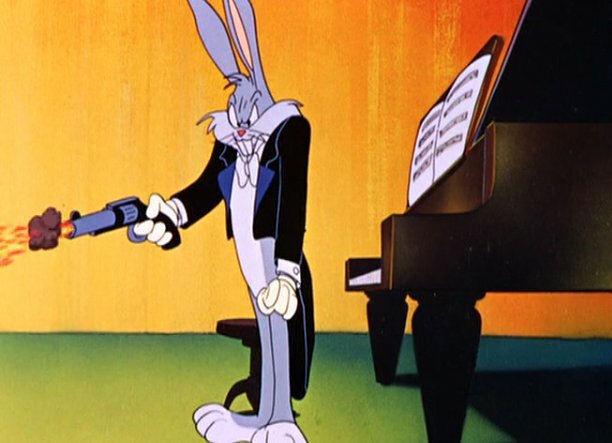 Bugs silences his audiences with a gun. 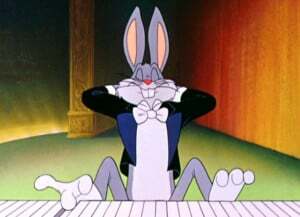 Bugs ties his hands in knots. 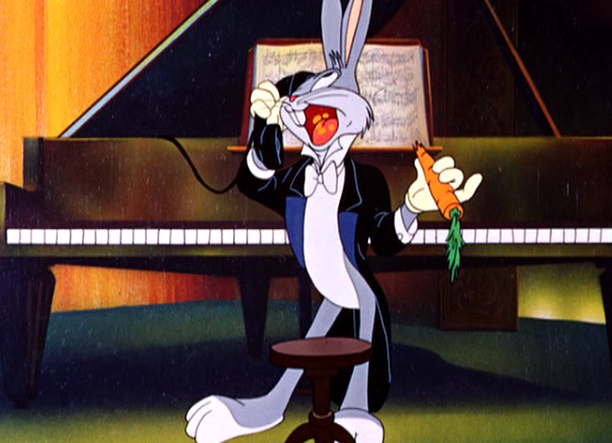 Bugs answers the phone and asks, “What’s up doc?” When the caller asks for Franz Liszt, he says he’s never heard of him. 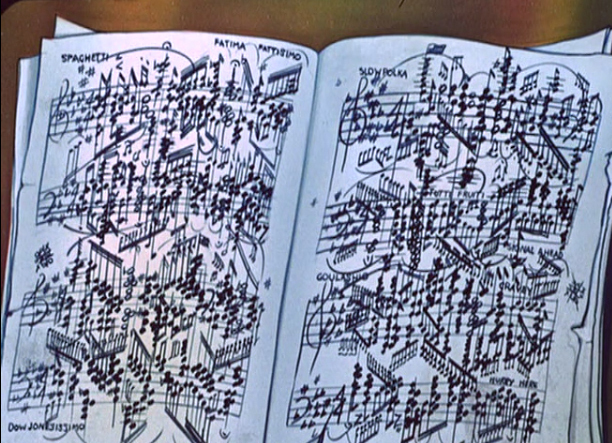 When Bugs is flipping through his music, we see a pinup between pages. 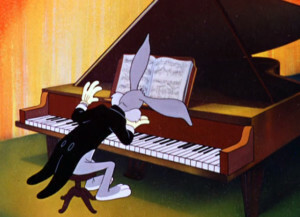 Bugs literally removes and replaces the keys. And also uses TNT to try to stop his opponent. But ultimately, he fails. 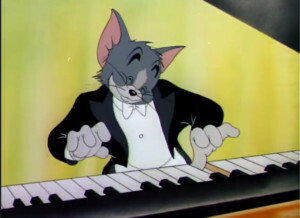 He takes too long gearing up to play the difficult cadenza, and we get a comical close up off what Liszt music looks like. 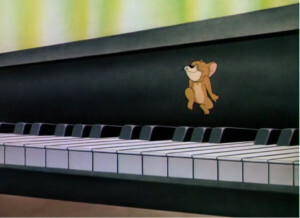 When he’s stunned by what he sees, the mouse jumps in the finish the piece on a mouse-sized piano. 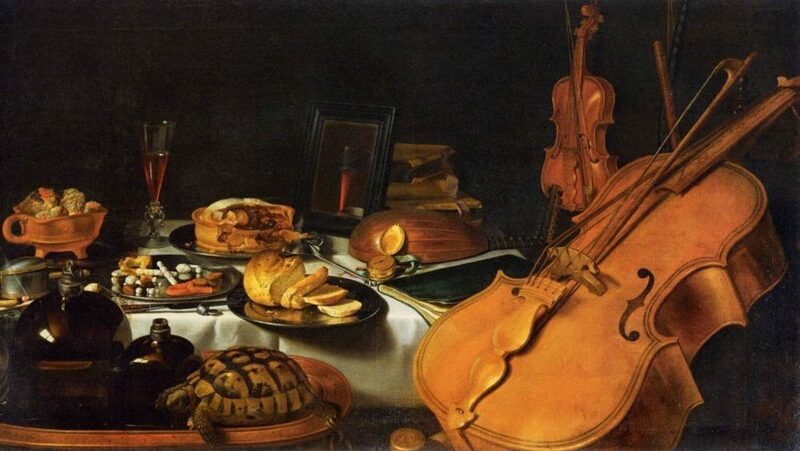 The Cat Concerto only has a few gags that are different. 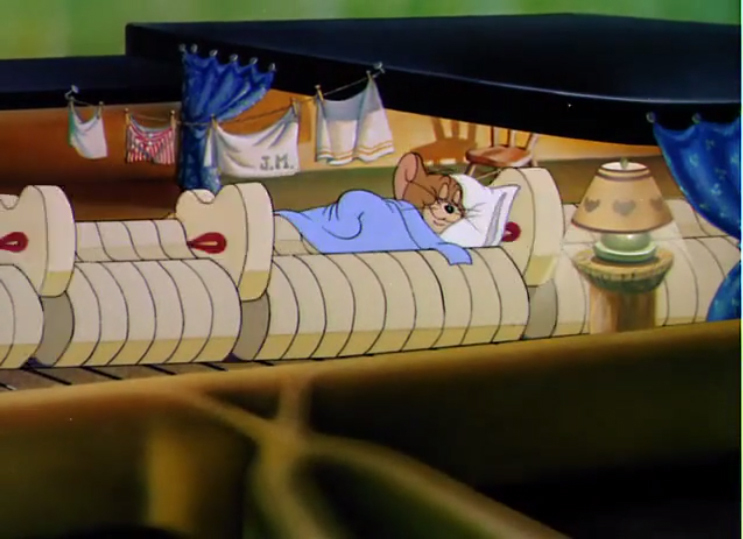 When we meet Jerry, he’s resting in a cozy flat he’s set up. Don’t those felts look comfy? 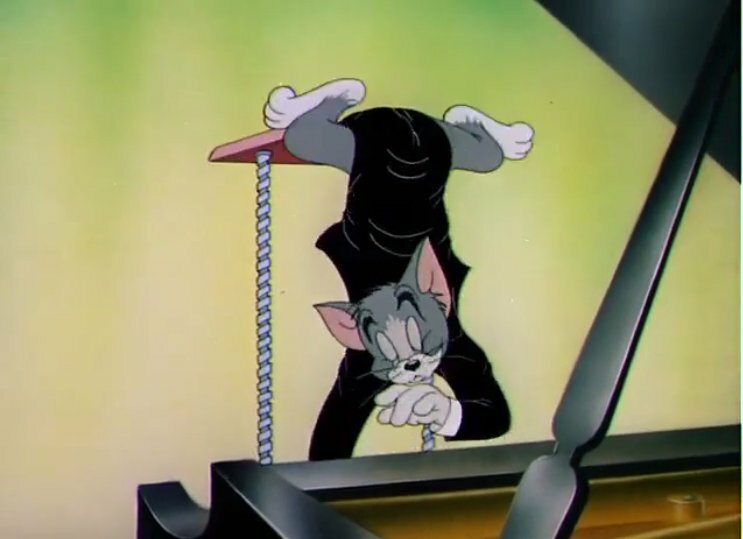 Tom’s piano bench lifts him up far above the piano. And his fingers almost get snipped off. 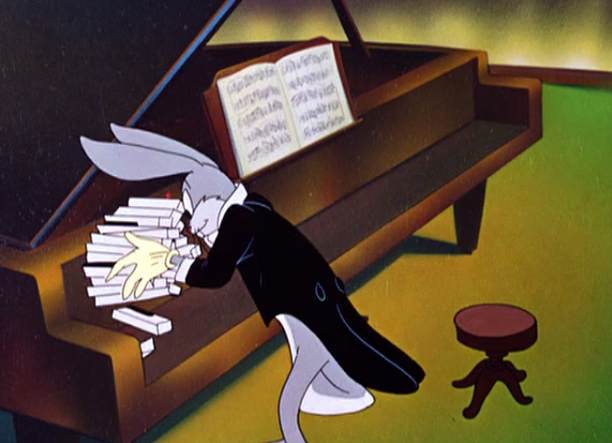 According to Cartoon Network’s Toon Heads, MGM claimed they developed the concept for The Cat Concerto independently of any knowledge of Rhapsody Rabbit. 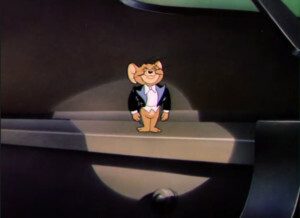 In fact, MGM claimed Warner Bros. had developed their short after learning about the newest Tom and Jerry film. 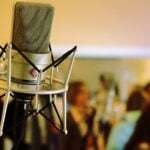 Watch each animated short below and be the judge yourself.